Is Sanjay Nirupam a victim of sabotage or internal rivalry? Why everyone in Mumbai Congress 'hate' Sanjay Nirupam? Full disclosure: We do not know who wrote those nasty pieces against Jawaharlal Nehru and Sonia Gandhi in Congress Darshan. But here's what we do know. The 28th of December was supposed to be a day of celebration for the Indian National Congress as the party turned 131. Instead, the grand old party was hit by a public relations disaster, courtesy the Mumbai Congress mouthpiece, Congress Darshan. For those of you who still haven't read about it, the magazine, in its latest edition, carried an article that slammed Jawaharlal Nehru for his role in the India-China war and called Sonia Gandhi's father a "fascist soldier". The article even touched upon the BJP's favourite Congress man - Vallabhbhai Patel - and his differences with Nehru on issues like Goa, China and Kashmir. Curiously, the article didn't have a byline. The editor of the magazine, Mumbai Congress chief Sanjay Nirupam, is clueless as to how it made its way into the party's official publication. Conversations with Congress leaders in Delhi revealed that Nirupam had already called up the top leaders and apologised for this blunder. "Why would I intentionally allow such a thing to go?" he allegedly said. 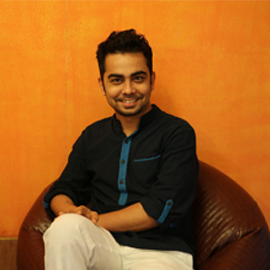 By afternoon, the content editor of the magazine, Sudhir Joshi, was sacked. However, no one has any idea about what exactly went wrong. The embarrassing situation was plain to see on Twitter: in the morning, the Congress Twitter sena was armed with the hashtag #131YrsYoungCongress to mark the day. By evening, Nirupam had become the talk of the town for his faux pas. There are now two theories that are being floated in Delhi and Mumbai. The first one is a bit bizarre and the second more acceptable, though with a few unanswerable caveats attached. The bizarre theory: SABOTAGE. Modi's men have managed to infiltrate into the Congress party structure in Mumbai. The grand plan might have been to embarrass the party on its foundation day, during a year the Congress also celebrated Nehru's 125th birth anniversary. The acceptable theory: the Congress' eternal problem - groupism within the party. This 'disease' has particularly afflicted the Mumbai Congress, particularly since Nirupam's promotion to the top job by Congress vice-president Rahul Gandhi. 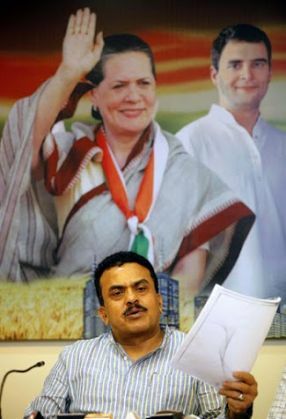 A former Shiv Sena man, Nirupam has struggled to be accepted within the party for a long time. His appointment as Mumbai Region Congress Committee president further agitated other 'camps'. Nothing could be more telling of the differences within the party than a statement by former chief minister and current Maharashtra Congress chief Ashok Chavan. When asked about the articles against the Nehru-Gandhi family, Chavan said: "Sanjay Nirupam is the editor of the periodical who must react to the blunder." He added: "The Maharashtra Congress is not at all responsible for what the Mumbai Congress does." Chavan is not the only bete noire of Nirupam. His predecessor Gurudas Kamat leads another 'camp', as do Milind Deora and Priya Dutt. Talk to any other Congress leaders opposed to Nirupam, and the glee on their faces is hard to miss. "This was bound to happen someday. There is much discontent against Nirupam and his style of functioning. The loyal party workers were being sidelined. Hope he learns a lesson now," says a Congress leader who does not wish to be named. The only leader of any considerable stature to talk on record against Nirupam is former minister and MLA Naseem Khan. Accusing him of promoting RSS ideology in a Congress mouthpiece, Khan demanded his immediate sacking from the party. On the other hand, Nirupam's camp points out a larger conspiracy to malign his reputation in the party. "The controversial article published in Congress Darshan is to get him out of Mumbai Congress," says an aide to Nirupam, who has stayed away from the media since the controversy broke. The aide also pointed out that it was Nirupam who, after taking over as editor, had recently revived the magazine, which had been defunct for nearly four years. Interestingly, on the national front, all these leaders are part of the 'RG' - Rahul Gandhi - camp (the other camp being the 'AP' - Ahmed Patel - or old guard camp). Basically this means that the factions in Mumbai are "camps within the RG camp". Party insiders in Mumbai say the internal tussle had grown to such an extent that Gandhi himself had to intervene recently. To pacify one such disgruntled leader from Mumbai, Kamat, the Congress V-P put him in charge of the party in Gujarat and Rajasthan. But this theory doesn't answer one important question - why would someone try to embarrass the Gandhi family on a day as important as the party's 131st birth anniversary? After all, the major leaders in Mumbai belong to the RG camp and swear by the Gandhi scion. The leadership in Delhi has made light of the incident in the media. Internally, however, the matter is far from being closed. "We will find out who did it. And soon we will name and shame that person," an insider in Delhi told this correspondent. Of course, there's more likelihood of this happening than of the infiltrator theory being proved true. And the other thing you can take to the bank is this - no one in the Congress dares mess with the Gandhis. TWEET THIS Is Sanjay Nirupam a victim of sabotage or internal rivalry? Why everyone in Mumbai Congress 'hate' Sanjay Nirupam?